43 years, 2 months, 8 days old age. Sharad Kapoor will turn 44 on 13 February, 2020. Only 9 months, 22 days, 7 hours, 53 minutes has left for his next birthday. Sharad Kapoor has celebrated the total number of 43 birthdays till date. See the analysis by days count and bar graph. 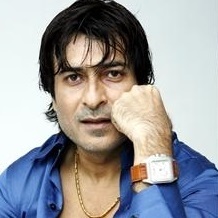 Sharad Kapoor was born on 13th February 1976 in Kolkata, Bengal, India. He is an Indian Film Actor & Television Actor who known for his work in Hindi and Bengali films. Sharad Kapoor was a well-known Bollywood actor during 90s. He made his acting debut with the film Mera Pyara Bharat in 1994. Though he made his cinematic debut with Mera Pyara Bharat, he capitulated to limelight after the release of the film Dastak. He was cast opposite Miss Universe Sushmita Sen. He acted in a string of movies till the late 1990s but almost all of them, failed at the box-office. In 2000, he played a negative role in the film Josh alongside Shah Rukh Khan. This film was marked as the turning point of his sinking acting career. His performance was lauded by almost all the film critics and also won him his first Filmfare nomination for best villain. After this film, he was seen in supporting and character roles. His last film was Hook Ya Crook in 2014. In addition to Hindi films, he has also acted in Bengali films. He has acted in two Bengali films titled Wanted and Achena Atithi.